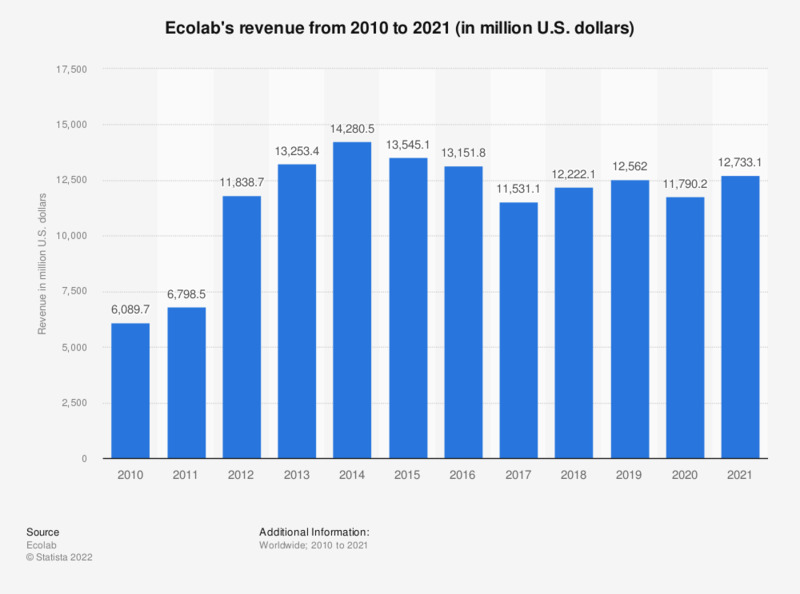 This statistic shows the revenue of Ecolab between 2009 and 2018. Ecolab Inc. is a leading company in cleaning, sanitizing, pest elimination services, food safety, and infection prevention products and services worldwide. In 2008, the corporation generated around 6.14 billion U.S. dollars of revenue. Nine years later, in 2018, the revenue stood at some 14.7 billion U.S. dollars. Ecolab Inc., is headquartered in St. Paul, Minnesota, and was established back in 1923. * Figures for 2016 and 2017 were restated in the 2018 edition of the report.